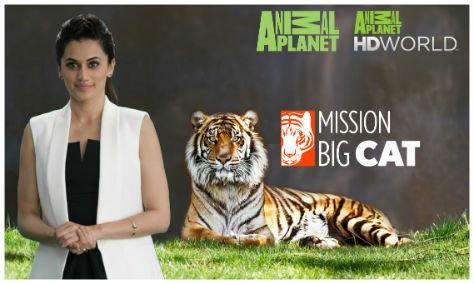 New Delhi: Animal Planet, India’s leading infotainment brand that immerses viewers in the full range of life in the animal kingdom with rich, deep content, will showcase an all new season of exclusive programming dedicated to Big Cats (including Lions, Leopards and Tigers) as a part of ‘Mission Big Cat’ starting October 02 every day at 9:00 pm IST. 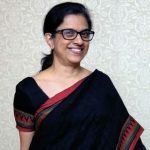 Animal Planet has roped in actors Tapsee Pannu & Ranna Daggubati to sensitize people about the need for Tiger conservation. Starcast of Golmaal 4 including Ajay Devgan, Parineeti Chopra and director Rohit Shetty will also feature in a campaign promoting Tiger conservation. All the promos can be downloaded from the link – https://discovery.box.com/s/l5d2v6selkyru94t4oqdv3fkv62rbymv. The six-week long line-up of programming on Big Cats which ends on November 12 includes titles such as 1) Snow Leopards of Ladakh, 2) Looking for Sultan, 3) Decoding the Man-Eater of Sundarbans, 4) Amur Tiger, 5) Cheetahs against all odds, 6) White Lions Born Wild and 7) Last Lion of Liuwa etc. Witness the spectacular, explore the exotic and celebrate incredible wildlife with Mission Big Cats starting 2nd October 2017, Monday to Sunday at 9pm.